Now that Classic bikes have been collectable for more then 20 years (a random number I picked out my…) it is interesting to see the patina that has developed on restored bikes. 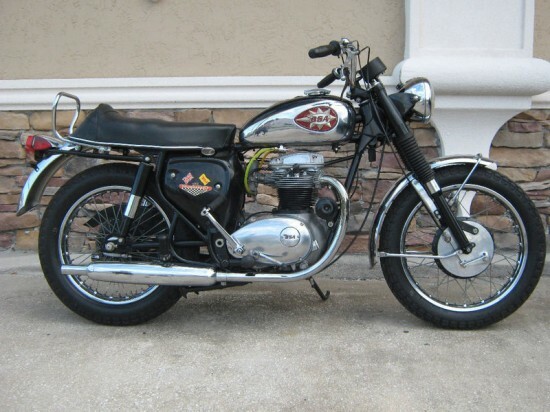 Someone somewhere restored this bike years ago and even the seller has a hard time determining if this 1968 BSA Thunderbolt offered on eBay now is an original survivor or not. After reviewing all that I know and saw, I believe that late old Steve at one point might have totally and professionally restored this bike, at least the frame , the reason for that is that we noticed some modern electrical connectors ( on the coils ) have been changed, also the VIN on the frame is under some heavy perfect coating, that I believe is powder coated ( I tested aircraft paint remover on it and it did not do anything to the coating). 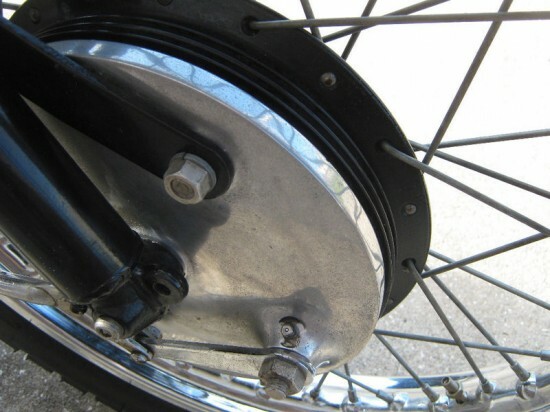 The center stand was missing and I installed one from the other BSA. I also cleaned up all the chrome and polished the side/valve covers. The chain looks and appears to be also new or with no miles just like the brakes. 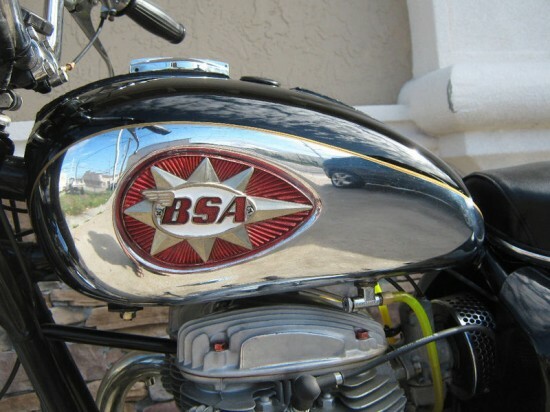 The BSA offered many incarnations of the A65 engine platform from 1965 through 1972. Names like Star, Rocket Star, Spitfire, Hornet and Thunderbolt were all A65 parallel twins offered in different levels of tune and styling. 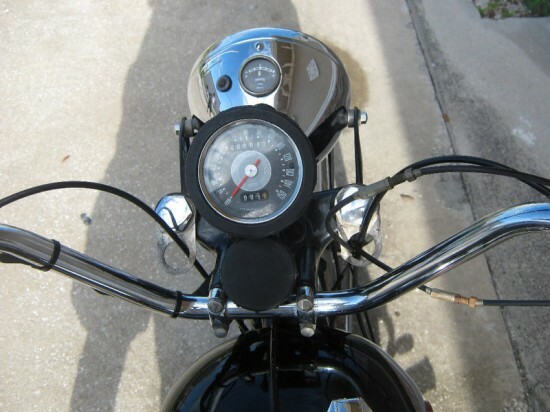 The Thunderbolt was offered through the entire run of A65 and with 654cc single Amal Monobloc Carburetor was offered as a touring model. Offering 46bhp at 7,000rpm and a top speed of 104mph, this was quite to touring machine. This example is dressed like they would have come to the US, with High Bars and a small tank. A very different look from the classic British cafe look. Americans wanted a laid back look and feel during the late ‘60s. The compression was very high and even on both cylinders, valve clearance was fine, so my britbike friend Glen who owns several Triumphs helped me set the points and timing. We installed a new batterie, gear and engine oil. Then comes the test.. sure enough the bike started right up; no noise and real crisp revs, no smoke whatsoever from the pipes. 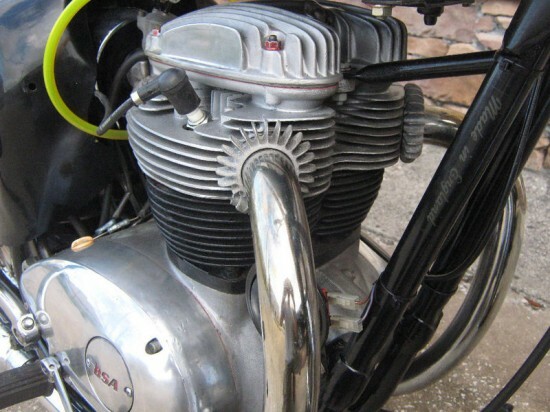 I had the valve cover off to ensure that the oilpump was working; it sure does.The bike is beautiful, starts and drives like it would have in 1968 in that BSA/Triumph showroom…………..; a lot of fun! 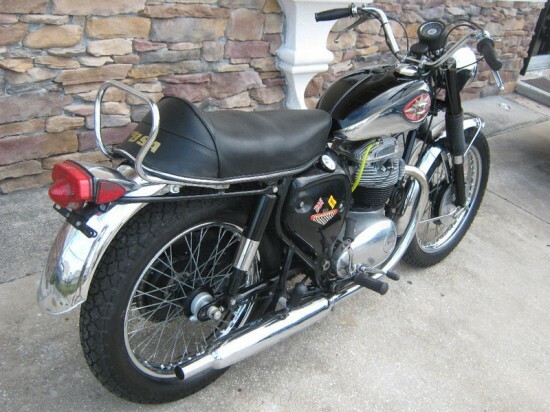 Which BSA A65 is for you?